What are the Best Tips for Choosing a First Bra? You can determine your bra size by taking a few basic measurements. 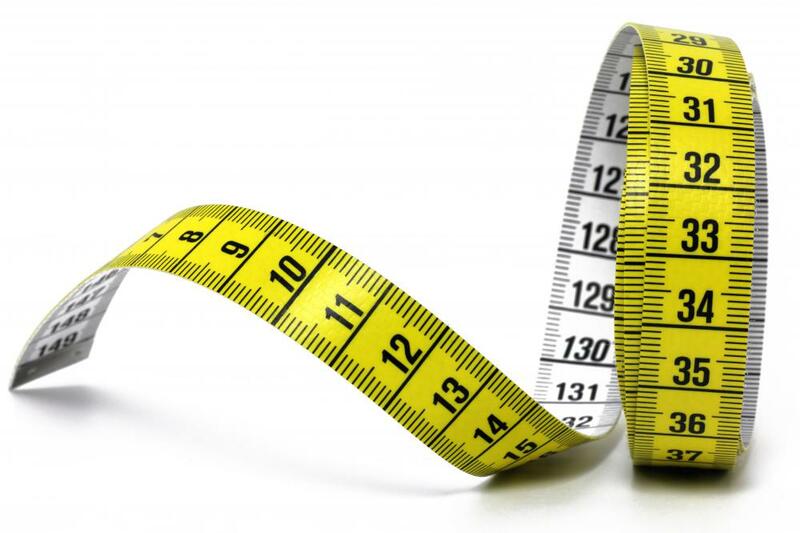 By taking simple measurements using a tailor's measuring tape, you can figure out what size bra to purchase. Whether it’s a training bra, sports bra, or full-figured bra, the most important aspect of any bra is that it properly fits. For a first bra, a girl or her mother can take the measurements necessary to determine the girl's bra size, or they can solicit the help of a lingerie department employee. Once a preteen or teen girl knows her first bra size, she can look for bras in both practical and fun colors. It’s also a good idea for her to choose bras designed for different activities, including sports. Finally, it’s important to remember that, as with many items, a bra’s price doesn’t necessarily indicate its quality level. Most girls who have just started puberty and are experiencing breast development won’t need a large bra size. The most common cup size for a girl who is buying her first bra is the AA cup, but the girl may have developed enough to require an A cup. A few simple measurements can help the girl determine her cup size, which will help her determine her bra size. First, the girl must determine her chest size. She can do this by wrapping a tape measure around her chest area, making sure the tape is evenly wrapped around her back and rib cage and sits just under the breasts. Adding five inches to that measurement will give her the chest size. To get the cup size, she must then wrap the tape measure around the area of her chest that includes the fullest part of her breasts. Once she gets that measurement, she must subtract it from her chest measurement to get the cup size. Each number in the difference represents an inch, and each inch represents a cup size. For example, a one-inch difference means the girl will wear an A cup, while a two-inch difference means she will wear a B cup. If the difference is less than one inch, she will most likely wear an AA cup. To get the number part of the bra size, the girl will use the chest measurement. So, if the cup measurement is 33 inches and the chest measurement is 32 inches, the girl will wear a 32A bra. The girl may feel confident enough to take these measurements herself, but it might be best to have her mother or another female adult help her. If she doesn’t have someone to help her, or if the other woman doesn’t feel confident, the girl can visit a lingerie store or the lingerie department of a large department store. The employees at these locations can conduct a professional bra fitting to ensure the girl’s first bra will fit. The employees can then help the girl find a selection of bras in her size. Once the girl knows her bra size, she can continue to shop for bras without undergoing a fitting until her breast development continues beyond that size. The girl’s first bra should be supportive and comfortable, and whether she chooses an underwire bra or one with elastic will depend on her size and development. She should also choose at least one or two bras in neutral colors that will be discreet under light-colored shirts. Once the girl has one or two neutral-colored bras for light-colored tops, she might also like to have a few bras that feature bright colors or cute patterns. The girl should also think about bras for different events or times of the day. For example, if she plays sports or feels more comfortable wearing a bra under her nightclothes at sleepovers, she might consider a few sports bras. A first bra doesn’t have to be expensive to be a quality undergarment. Many companies that specialize in underwear such as bras produce various lines of quality products at affordable prices. Most preteen and teen girls continue experiencing breast development after purchasing their first bras. This means a girl could need a larger bra size just months after she buys her first bra. For many people, this makes affordability an important part of first-bra shopping. How Do I Choose the Best plus Size Bra? What Are the Best Tips for Shopping for Underwear? How do I Choose a Comfortable Underwire Bra? How do I Determine my Bra Cup Size? How do I Choose the Best Strapless Bra? What is Involved in Measuring for Bra Size?